Tech Wrap-Up 10-15-2018, the day Microsoft co-founder Paul Allen passed away. Rest in peace, Mr. Allen. 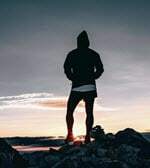 Wrapping up the day with a summary of today’s most engaging stories from the Tech Help Knowledgebase social media feeds. We order the story summaries below by user engagement (posts with the most likes, shares, clicks, hashtag clicks and detail expands) and by the number of impressions they received. Stories are in descending order with the most engaging story at the top. Our human-curated social media feeds include links to technology news, how-to and help articles, and video tutorials for common issues. Stories curated for our feeds are from our staff writers or culled from third-party sources that produce content related to the categories covered by our site. See the summaries and links below for today’s top stories by user engagement. Follow us on Twitter, Facebook, Google+ and YouTube to interact with our feeds. The world’s most popular web browser is Google Chrome. The most reviled plugin is Java (JRE), the bane of network security administrators everywhere. Yet, some need still exists to run legacy Java apps. When that need arises, Chrome is an option even though Google killed NPAPI support in Chrome 3 years ago. Java support in Google Chrome requires a free and simple intermediary to run Internet Explorer’s rendering engine within the Chrome wrapper. The Apple TV 4K lets users watch their content in 4K HDR, and reckons to be the gaming console Apple needs for its ecosystem. However, on September 24, Apple stopped support for Microsoft-owned Minecraft. Lack of availability on Apple TV 4K is troubling because Minecraft is still available on many other non-Microsoft platforms including PlayStation. The article dives into whether Apple pulled Minecraft for lack of success on tvOS, or for other reasons. Fidelity manages $7.2 million in assets. No wait, that’s $7.2 billion. No, holy cow, it’s $7.2 trillion in assets! And they’re starting a new firm, Fidelity Digital Asset Services, for the purpose of cryptocurrency trade execution as well as custodial services. 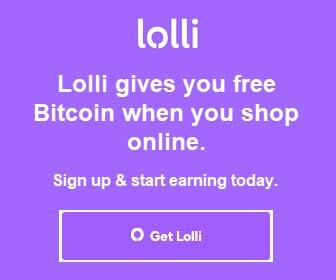 CEO Abigail Johnson specifically called out Bitcoin (BTC), saying, “Our goal is to make digitally-native assets, such as bitcoin, more accessible to investors.” Their services should be available by early 2019. The three C’s: cough, cold, and creepy. A new patent filing by Amazon may allow them to take financial advantage of your ailments and moods. By detecting your emotional state, your voice and breathing pattern, or your accent, for example, Alexa could recommend targeted remedies. Maybe Alexa should instead remind you to wash your hands before eating to better avoid illness, but that doesn’t sound as lucrative. It took 7 years for DuckDuckGo to reach 10 million daily searches. Within two years they doubled that number and now reached 30 million searches in only six months. Europe’s GDPR likely helped give them a boost, along with privacy issues with Google and Facebook services. DuckDuckGo earns money from advertising, but the ads don’t delve into your browser history for targeting and tracking purposes. Chrome 66, released this past May, had unexpected consequences. A new feature included with the browser automatically muted sites that played sounds. For many, blocking sound from auto-play videos by default was a gift from above. But it also blocked sound from some popular online games. Google eventually rolled back the change in games and web apps and deferred it to a future update. That update is Chrome 71 due for release in December. Spaces on macOS gives Mac users an additional desktop devoid of clutter through compartmentalization. As you fill them up, Spaces creates another clean desktop for you up to 16 different desktops. The main chore is setting everything up, and Apple Insider shows you how to do it. 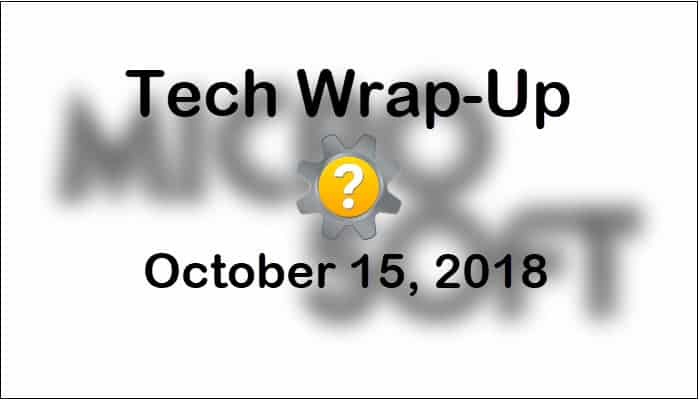 Thank you for visiting Tech Help Knowledgebase to read the Tech Wrap-Up 10-15-2018. If you liked this article, follow us on Twitter @techhelpkb and subscribe to our YouTube channel to keep in the loop.